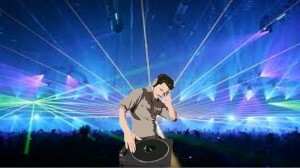 A DJ in Memphis TN, DJ Michael Spano has done hundreds of weddings and corporate events in the greater Memphis area. I use modern equipment and technology. If I don’t already have the song you’re looking for it’s just a download away. If you’re looking for a profe ssional ethical experienced DJ look no further! Spano Productions DJ Services LLC has music of all types and eras. 50’s through present day tunes including Rock, Soul, Motown, R&B, Hip Hop, Country, Disco, Big Band and even Ethnic varieties. I strongly believe in giving back to the community. Among the many endeavors I have been involved in include President of the UNICO Memphis Chapter Foundation, Treasurer of the UNICO Foundation, and Past National President of UNICO National. UNICO is an Italian American service organization that distributes over a million dollars a year for scholarships, supports Cooley’s Anemia research (mainly at St. Jude), Mental Health organizations, Jimmy V cancer research, Italian Heritage and Culture and Anti-Bias initiatives. I also served as a board member for the Saint Peter Villa Rehabilitation center for 9 years primarily on the Budget Committee. I enjoy sports and currently coach a basketball team for St. Ann Bartlett. Another special project I’m involved in is the relocation of the Columbus Statue to Marquette Park. The new home will be an educational center for school children and adults alike. For more information about the Columbus Statue Relocation Project click here. Spano Productions DJ Services is a DJ in Memphis, TN area with years of experience doing weddings, parties of all types, corporate events and has a vested interest making our community a better place to live.